The following post was written by guest blogger: Tracy Lowrance. Whether it’s new or existing knowledge, the deliberate removal of information from an organization’s stocks of knowledge can create a competitive advantage. The first blog in this series, When Forgetting is Good, explored the concept of unlearning and how intentionally forgetting existing knowledge can provide a strategic advantage to organizations. In the second part of this series I will explore another aspect of organizational forgetting: avoiding bad habits. Avoiding bad habits is the intentional forgetting of new knowledge. Simply put it’s an organization’s ability to swiftly forget those behaviors considered counterproductive before they become embedded in the organization and thereby adversely impact competitiveness. 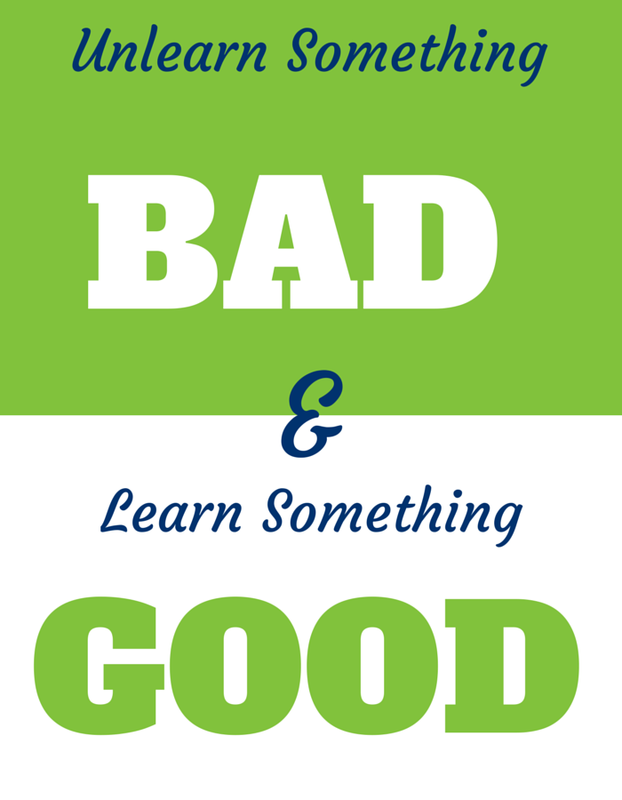 While learning in general is thought to be a good thing, there is a downside; routines, processes, and values can all be bad habits an organization learns. Organizations must be able to distinguish between the knowledge that is useful and would-be bad habits. Identifying and intentionally forgetting counterproductive knowledge before it becomes entrenched in the organization’s memory requires the ability to make this distinction and to be diligent regarding its removal. Collaboration and apprenticeship is commonly considered an essential process for transferring and enhancing knowledge throughout an organization. There is an inherent assumption the knowledge being shared is both useful and accurate. In fact, this may not be the case at all. For example, new employees in a call center spend time job shadowing existing agents. To prevent bad habits from taking hold in these new employees the facilitator does a robust debrief about their experiences, addresses any issues or anomalies and reinforces the correct way of doing things. There is a fallacy in the assumption that collaboration only transfers expertise; with multiple touch points the likelihood of transferring unfavorable knowledge increases. Organizations must work tirelessly to reject bad habits before they become woven into the fabric of the organization. Innovation is defined as the introduction of something new or a new idea, method or device. As part of the innovation process organizations need to be able to distinguish between the causes of success and failure. Success and failure are two sides of the same innovation coin. On one side of the coin organizations lacking insight as to why they failed may never truly identify their capabilities. On the other side of the coin, if the positive elements that led to success can’t be separated from those that impeded it, those negative elements become part of the organizational bad habits. The story of Kingfisher Beer led by Vijay Mallya is an example of an organization that was unable to make this distinction. Kingfisher is the flagship beer of United Breweries Limited; as a premium lager Kingfisher has won many international awards. Mallya wanted to run an airline and started Kingfisher Airlines in 2005. Similar to Kingfisher Beer, Kingfisher Airlines was a premium brand airline. The values associated with running a company of premium brands had become part of the organizational habits. A few years later Mallya’s troubles began when he acquired a low-cost airline that was on the ropes financially. Mallya tried to apply his premium brand philosophy to a low-cost carrier. Unable to separate the positive and negative causes of their prior success led Mallya to expand Kingfisher beyond its core business and dilute the brand. As a result of this brand extension the company was unable to pay employees for months and eventually went bankrupt. Organizations that can become skilled at continuous learning also need to increase their capacity for forgetting. Successfully adapting to a changing environment requires an organization to move away from archaic technology, flawed corporate cultures, and outdated assumptions about the markets in which they work. They must work painstakingly to remove counterproductive knowledge from the organization in order to prevent bad habits from becoming the norm. Only by doing this can an organization create and maintain a competitive advantage. Tracy Lowrance has spent over 15 years working with organizations in higher education, financial services, healthcare, retail and government on change management and leadership development initiatives. Tracy is currently working on her dissertation on Organizational Forgetting in The George Washington University’s Executive Leadership Program. Her passion for learning, coupled with her scholarly and professional interests drive her to help organizations continually and effectively adapt and change in a complex world. 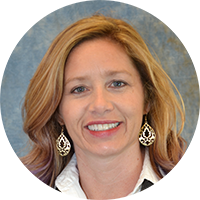 Tracy is the Manager of OD and Professional Development at Clarkston Consulting, a management and technology consulting firm located in Raleigh, NC.